October 10, 2017 — A woman who has been described as the central figure among five suspects in the Norwood double-homicide case appeared in San Miguel County District Court on Tuesday with her attorneys. Madani Ceus, 37, of Haiti, said nothing during the proceeding except to pronounce her name for District Judge Keri Yoder. Though Ceus’ bond was set at $500,000 on Sept. 12, Yoder noted that Ceus is now being held without bond following Friday’s filing of first-degree murder charges by the 7th District Attorney’s Office. In fact, the DA’s Office filed several new felony charges against all of the suspects in connection with the deaths of two girls said to be 7 and 10 years old. Before Friday, each suspect only had been charged officially with one count of felony child abuse causing death. Ceus; two counts of first-degree murder and two counts of child abuse resulting in death. 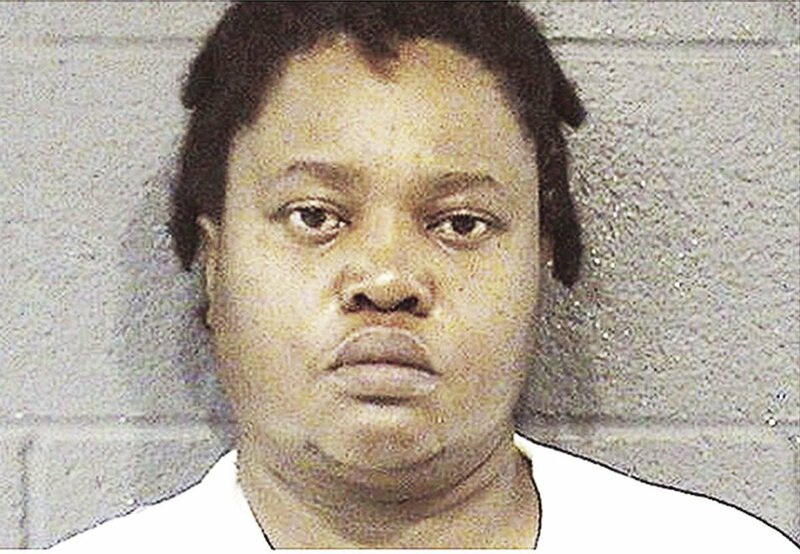 Nashika Leonie Bramble, 36 — believed to be from the southeastern U.S. — two counts of first-degree murder and two counts of child abuse resulting in death. Ashford Nathaniel Archer, 50, of Haiti —previously identified as “Nathanyah Nitchitu” and “Nathan Yah” — two counts of child abuse resulting in death, one count of being an accessory to a crime. Ida Eden, 53, of Jamaica — previously identified as “Ika Eden,” and also known as “Karah Sandolphon” — two counts of child abuse resulting in death. Frederick Alexander Blair, 23, of Norwood; two counts of child abuse resulting in death, one count of being an accessory to a crime. All of the suspects are being held in the San Miguel County Jail. The two deceased girls — revealed to be Bramble’s daughters during an Oct. 3 hearing — were found by San Miguel County deputies on the afternoon of Sept. 8 in a rural location two miles south of Norwood. All suspects but Bramble were taken into custody that day; Bramble turned herself in to authorities in Grand Junction on Sept. 9. Much of Tuesday’s hearing dealt with District Attorney Dan Hotsenpiller’s motion to have Ceus’ two public defenders disqualified from representing her based on conversations that occurred between defense attorneys and other suspects in the days following the arrests. Central to the motion, Yoder said, was whether the potential existed for an ethical conflict. Yoder denied the DA’s motion after attorney Kori Zapletal, of Montrose, and a second public defender argued that they followed proper procedures when interviewing the suspects. Another motion discussed during the hearing concerned the defense attorneys’ access to evidence — specifically, Blair’s property, off County Road Y43, where the bodies were found, and a vehicle that is still being “processed” by investigators. Authorities have not disclosed the role of any vehicle pertaining to the case. Sheriff’s Office affidavits with details of the preliminary investigation remain under a court-ordered seal. Hotsenpiller said the crime scene is still under the control of the Sheriff’s Office and that inquiries about access should be made to Sheriff Bill Masters. As for the vehicle in question, Hotsenpiller said investigators should be finished with it sometime this week. Yoder set Oct. 19 as the next hearing date to settle various issues between defense attorneys representing the five suspects and prosecutors. Though Nov. 6 had been mentioned previously as a possible preliminary hearing date, Ceus’ attorneys described it as too early. 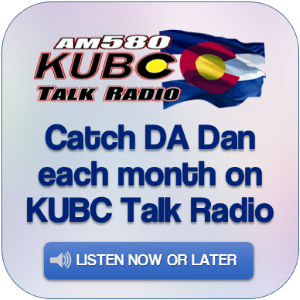 Following the hearing, Hotsenpiller took questions from Telluride reporters representing KOTO Community Radio and the Daily Planet. He confirmed that authorities are investigating whether a “voodoo” ritual or practice was related to the girls’ deaths, but provided no details. He added that he couldn’t get too involved in the details so as not to compromise the integrity of the case and to ensure that the defendants receive a fair trial. Hotsenpiller said part of the difficulty with determining the suspects’ names and origins lies in the fact that many of them lived under the radar, so to speak, and did not carry proper identification. The DA said it was too early to say whether all of the suspects will be tried together, should the cases reach the trial stage. “Between now and trial is a long period of time, and there will be a lot of litigation, including whether probably any of the defendants can be tried jointly,” he said. Hotsenpiller explained that the complexities of the investigation and the need to ensure a fair trial made it necessary to place Bramble and Ceus — the only two defendants currently facing first-degree murder charges — into separate cases. Defense attorneys likely will argue at future hearings to sever all the defendants from each other and place them into separate cases, Hotsenpiller said. He also spoke of two other youths who were found as a result of the investigation. They are alive and being cared for by the state Department of Health and Human Services. Ceus is believed to be their mother. Hotsenpiller said the father of those children is not one of the suspects. The DA added that he could not say whether the death penalty would be sought in the case. In Colorado, a first-degree murder conviction carries a mandatory sentence of life in prison without parole.